WHERE WE WILL LIVE ULTRA-MATRIARCHY IN REAL! together with Goddess Sophia (UK). 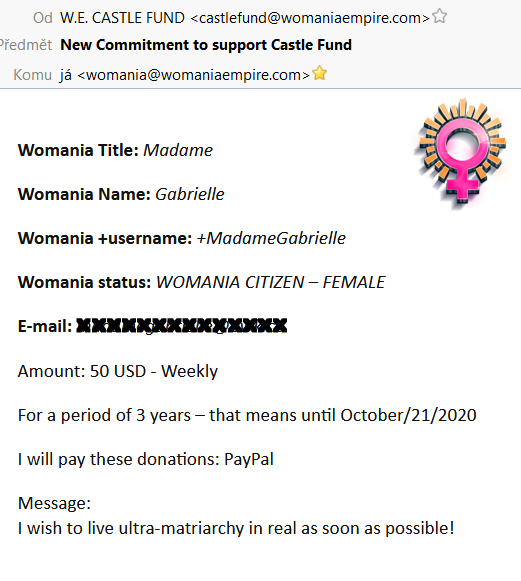 New Commitments to support Womania Empire Castle Fund! - they understand, that purchase of our own Castle is absolute priority! New Commitment & donations for Womania Empire Castle Fund! Perhaps a good example for state slaves & male citizens of Womania Empire! New Commitments & donations for Womania Empire Castle Fund! Current status of Fundraising today! Help us with the rest - DONATE! Send your Commitment to support the W.E.Castle Fund! We all wish to have Womania Castle as soon as possible. And realize ultra-matriarchy society in real! "Commitment to support Womania Empire Castle Fund"
by ALL state slaves and male citizens - ASAP! Read it & make your Commitment to support! 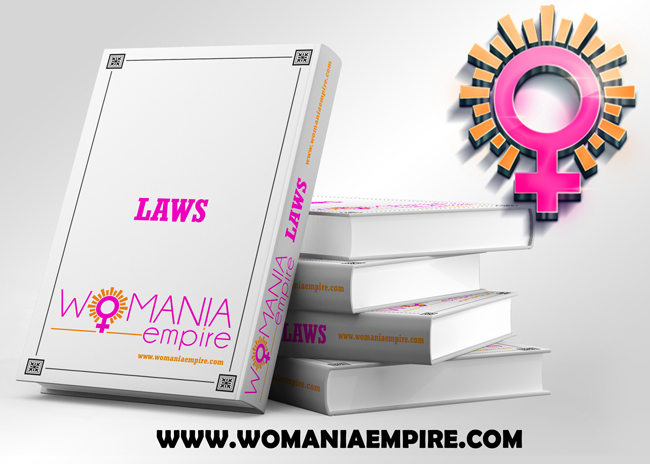 Read and donate for our future seat - Womania Castle! Another happy slave with official Permission! visits the OWK Castle (our temporary seat) this week. visits the OWK Castle (temporary seat of W.E.) in days October 11.-13.
to execute the corporal punishments (Spanking Day & W.E. Court Verdict) ! Happy prisoners in OWK underground jail will have Lady Mephista as their Guardess during these days. We are looking forward to Her visit! 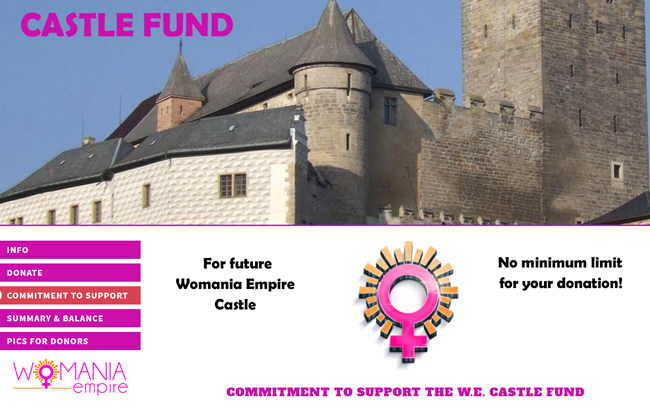 W.E.Castle Fund - for future seat of Womania Empire!